Perry Meridian Academy December Students of the Month! 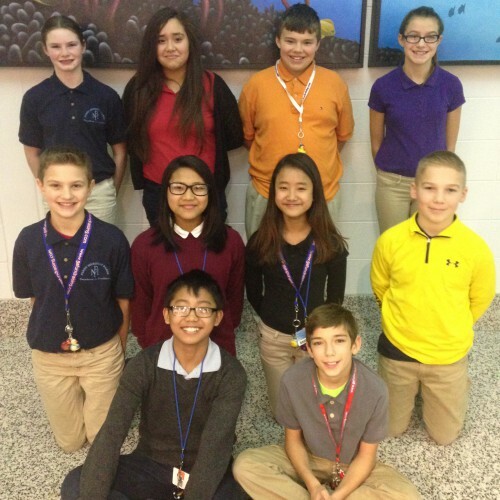 Perry Meridian Sixth Grade Academy would like to congratulate the December Students of the Month! These students were recognized by their teachers for demonstrating quality character and following PMA’s R.O.A.D. to Success! R.O.A.D. stands for Respecting your peers, Owning your education, Addressing adults appropriately, and Demonstrating safe behavior. Students of the month enjoyed a celebratory luncheon provided by Texas Roadhouse (135 location) and Chick-Fil-A (135 location) and were joined by the principal, assistant principal and school counselor. Students are awarded with certificates, brag tags and freebies from Wheels of Wonder, Chick-Fil-A, Jet’s Pizza, Turkey Hill and Texas Roadhouse! Way to go, Colts! Keep up the great work by serving as a leader and role model to others!